We are FHA approved and State Certified Real Estate Appraisers with New York offices in Yonkers, Pelham, our Manhattan, and New York City office, we can cover all of your real estate appraisal needs. New York NY - Bronx, Brooklyn, Dutchess, Kings, Manhattan, Nassau, New York, Orange, Putnam, Queens, , Richmond, Rockland, Staten Island, Suffolk, Sullivan, Ulster, and Westchester Counties. New Jersey NJ - Atlantic, Bergen, Cape May, Essex, Hudson, Hunterdon, Mercer, Middlesex, Monmouth, Morris, Ocean, Passaic, Somerset, Sussex, Union, and Warren Counties. Connecticut CT - Fairfield County. Please check back often or feel free to call us at anytime as we are constantly adding new areas of coverage to better serve our clients. 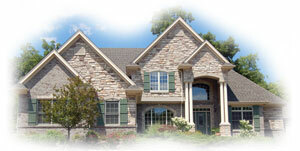 We are a full service provider of real estate appraisals and valuations for the mortgage lending marketplace. We are state licensed and certified appraisers in New York, New Jersey & Connecticut. With over 30 years of experience in the business, we have a proven track record of reducing time, efforts and costs in managing the appraisal process. Through this website, you can perform a number of tasks. Ordering appraisals is just a click away. Or, spend some time and find out a bit more about the appraisal business. The more you know, the better decision you can make. And check back frequently, as our content is always being updated.